The aqueduct, completed in 1834, had been leaking seriously since 1859. It sagged badly in 1926, finally collapsing on October 31, 1973. Between 2007 and 2010, funds were raised for restoring the aqueduct. 459 original stones from the aqueduct were found and used in the restoration, and the aqueduct was reopened on October 15, 2011. 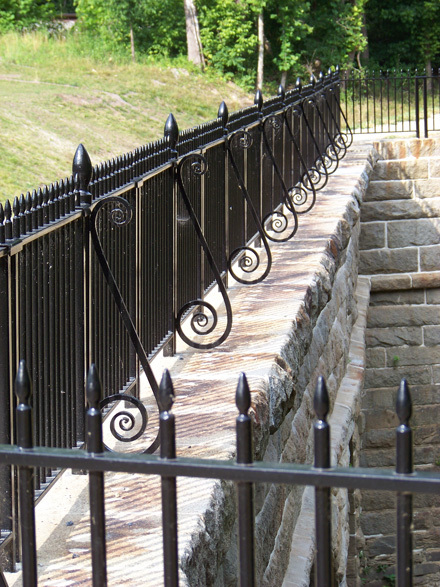 Anvil Works subcontracted to replicate 13 scrolls for Koppers Fabricators, Inc. who installed the railing.